I am now 15 weeks pregnant and my sickness & tiredness have settled down big time. 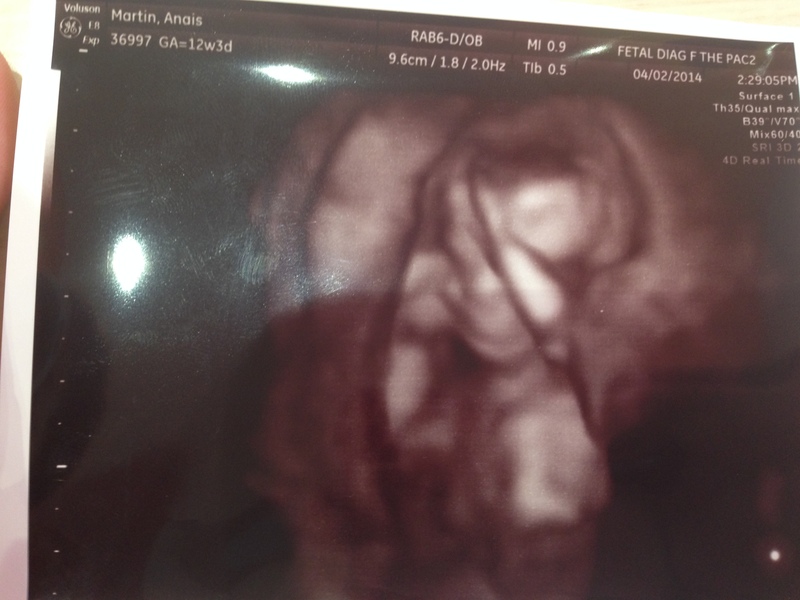 The picture is a 3D image of baby Martin @ 12 weeks old. I also got to hear a bit of babies heart beat that appointment & it was so beautiful. My next appointment is on May 7th. That is when we find out what babies gender is. Hubby comes home this tuesday, so he gets to be at the appointment with me. If he hadn’t been able to make it, then I would have had my cousin come with me, & she would have thrown us a baby gender reveal party. I’ve been having all kinds of mixed emotions. From happy & excited. To nervous, scared, terrified, & worry that I won’t do a good job. Its all so intense. I just can’t wait to have Sam home, to help get me through all this craziness. I hope I take it easy on him too with all these stupid emotions.